One of the hardest parts of having a staff of hard working, dedicated employees, is keeping their knowledge-base up to date… that’s right, providing Effective Corporate Learning (Training). There are countless methods, materials, and programs to help equip your employees with the knowledge they need to be productive and effective at their jobs. But, which learning technique is the best fit for your employees? Which one will help them to retain, recall and utilize the lessons of their training? Is one better than another, or is it better to balance multiple methods? Will your preferred training method depend on your subject matter? In a simple answer, Yes – to all. But lets dive deeper. Which method is better for your employees? This is hard to answer definitely, as each person learns differently. However, what I can say is that everyone utilizes a visual, audio, and physical aspect to learn and retain new information. Some people might be more receptive to audio, some to video and others to physical aspects of a training course. It is therefore beneficial to use every aspect to a certain degree when training. 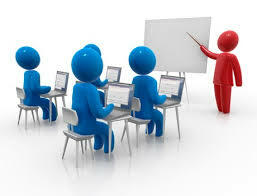 Training methods such as Videos, Webinars, Interactive elements, Testing elements, etc. will all benefit the employees who are learning. Which method will help them to retain, recall and utilize the information? 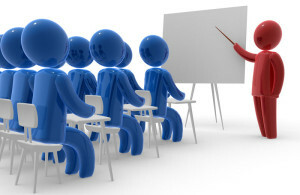 Training sessions that incorporate all aspects from the earlier question will certainly help with retention and recall. Methods that use relate-able examples, while providing the learner with pre-filtered bits of information will help the learning to focus on the content and retain the information that their brain deciphers to be important. If the instructor is able to pre-filter the information, and only include the information required by the learner to retain, the learner will be more receptive of the information. Use examples that are close to the hear of the learner. Make sure they are relate-able to their situation. Is it more important to balance multiple methods? The biggest thing to remember is that no ONE medium for training is the best of the others. Webinars are getting closer in that users can ask questions within the presentation, however, for the ones who don’t ask questions, they could be surfing the web, working on other tasks, or simply ignoring the webinar’s lessons. They might not believe that the information they will receive will benefit them, they might also believe that the training is interrupting their work. To keep users engaged, the best way to do so is blending medium. During a webinar, ask the users questions, that way you can see who might be responding and who might not be “all there”. If it’s a class-room setting, you can ask the attendees to tell you how they would use the skills. After the training you can send out a quiz to test if the attendees retained the information. Will the best method(s) change depending on the subject matter? Yes. It will also change depending on your goals. If you don’t actually care about retention, and you’re only looking to measure results by “seats in chairs” (i.e. number of attendees), then any one method will work. Unfortunately, we find that way too many companies train this way. They don’t understand or know that there is more to successful raining than attendance. If employees don’t retain or recall the information shortly after learning, it will be lost. This can cost your company thousands of dollars in wasted investment. When we work with companies we make sure that their goals are more about utilization of the services, retention and recall, when the skills are required. Fivel innovates the learning experience for your employees. Whether your employees are learning the latest Office 365, the newest Windows version, Cisco Product, General Soft-skills, or Customized to your needs, Fivel’s sole focus is on making sure that they are utilizing the training, retaining the information and are therefore able to recall the information when it is needed. Fivel takes the guess work out of Corporate Learning.